Makaronets Law is widely recognized as one of the top personal injury associations in the province of Ontario and is dedicated to serving our community by protecting the rights of injury victims while making a difference in the lives of our clients and their families. Our legal team is comprised of experienced specialists and paralegals who are supported by a dedicated support staff. We can assist you in over 20 different languages and will ensure that you receive the best possible results. The specialists of Makaronets Law possess vital trial experience, having successfully conducted trials at virtually every level of court in the province of Ontario. Furthermore, some of our specialists were previously employed by insurance companies, government agencies, and public transportation companies and have intimate knowledge of various relevant tactics and procedures, which gives us the leading edge over our competition. Personal injury law is our focus and passion. We are 100 percent devoted and dedicated to getting the absolute best result for our clients and their families, as well as providing much needed support at a time when injury victims feel the most vulnerable. If you or a loved one was injured, contact Makaronets Law for a consultation; it is absolutely free, and there are no obligations. We can visit you at home or in the hospital, and since we work on contingency, you do not have to pay until we win your case. 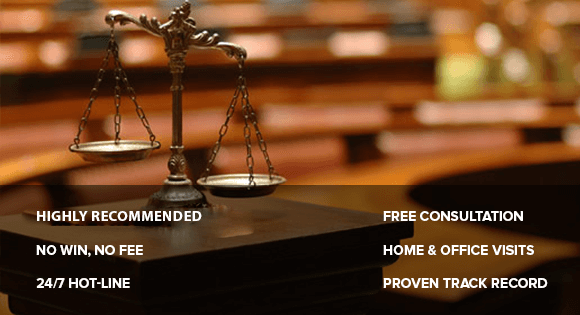 95 years of combined experience has made Makaronets Law what it is today�for our clients we are the shield and the sword, protecting their rights and at the same time getting them the absolute best results and maximum compensation that they deserve.